Grand Marais is basically one big resort; you’ve got multiple shopping and dining options, amenities throughout town, can walk everywhere, have Lake Superior out your front door and the Superior National Forest out back. 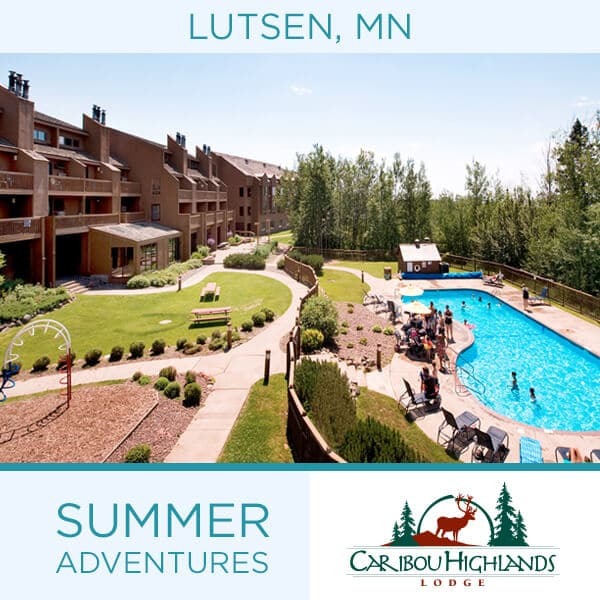 And you have loads of Grand Marais MN lodging options including cabins, cottages, mom-and-pop motels, condos, townhomes, and hotels plus Vacation Homes, B & B, and Campgrounds. Looking for the quintessential North Shore tourist town, stay here. This award winning lakefront hotel offers a variety of richly-appointed guest rooms ranging from rooms with a king or two queen beds, to mini suites, up to our luxurious Renewal Steam Suite featuring a walk-in steam shower, whirlpool, fireplace, and dramatic lakefront view. Enjoy a delicious complimentary hot breakfast served in the fireside great room, lobby bar & bistro featuring wine on tap and a selection of local beers served with light menu items, and a newly renovated whirlpool and fitness center. 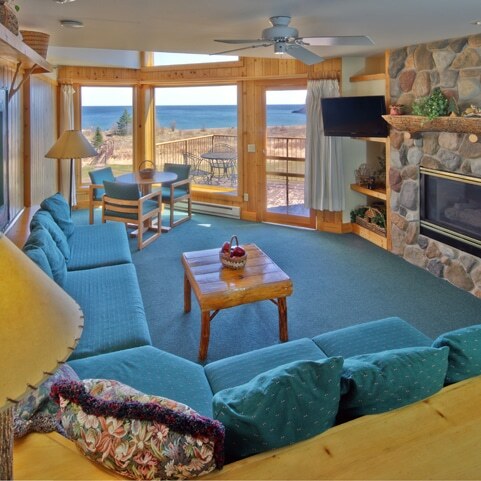 Most rooms offer a spectacular lake front balcony and guests can enjoy the private Lake Superior rock beach. Select rooms are pet friendly, must ask at booking. Sitting in the heart of it all: on the edge of Lake Superior, at the base of the Sawtooth Mountains, a short drive from the pristine Boundary Waters Canoe Area and world class Superior Hiking Trail, and just steps from your favorite local shops and restaurants in the center of the quaint harbor village of Grand Marais. 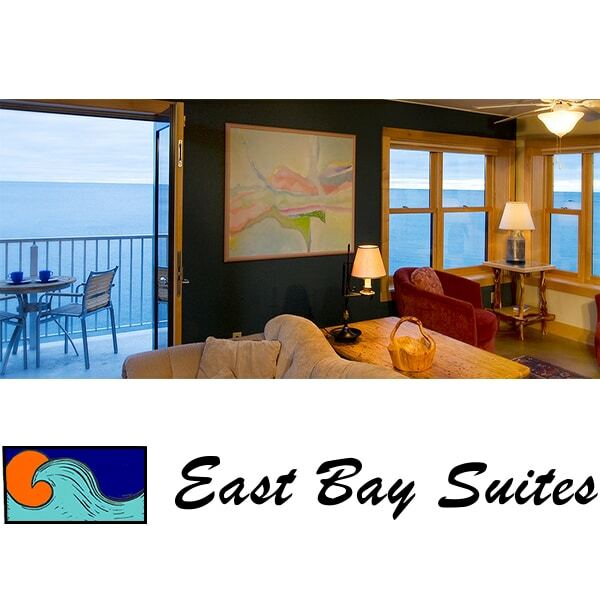 The perfect blend of outdoor recreation, unique shopping and culture, East Bay Suites has something for everyone. Studio, 1- ,2- and 3-bedroom condos complete with full kitchens, and fireplaces. Privately owned, lovingly furnished two-bedroom cottage. 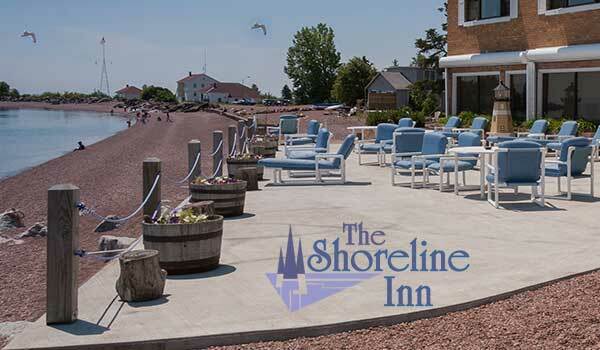 Enjoy our 200-foot cobblestone Lake Superior beach. Charming, knotty pine interior. Fully equipped kitchen; all linens; VCR/DVD for movies; CD player; deck and BBQ. Piano for music lovers. No smoking, sleeps 4. On Lake Superior, 2.5 miles from Grand Marais. LOCATION! LOCATION! LOCATION! 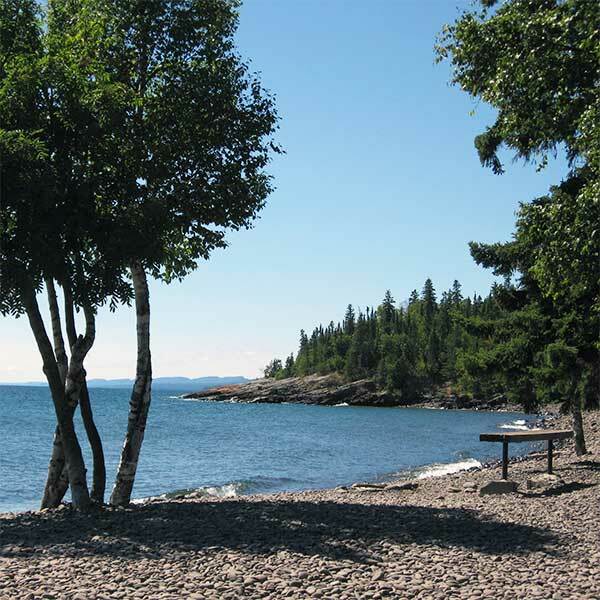 On the beach near Artist Points’ and the harbor, guests can easily walk to shops, restaurants, the lighthouse, marina, harbor and the Grand Marais Recreation Center and pool. We meet a variety of family vacation needs with king, queen, 2-bed, family or connecting rooms, all with in-room refrigerators. Four housekeeping cabins, right on the water, each with full kitchen and bath. One, two and four bedroom. Canoe, kayak, lots of dock space, boat rental available. Near many hiking and biking trails. Many lakes and trout streams nearby. On the North Shore of Devil Track Lake, 12 miles from Grand Marais. he beautiful swimming pool, giant whirlpool spa, sauna and sundeck are a favorite for end-of-day relaxing. 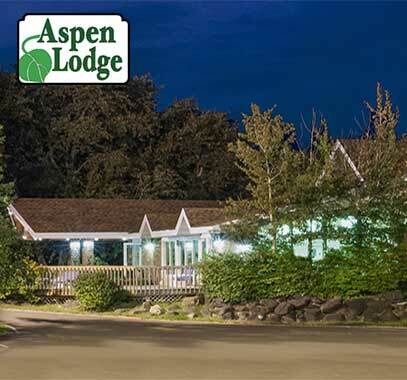 For different family needs, Aspen Lodge offers a variety of room-types, many with lake or wooded views, and is especially colorful in the fall. These include king or double-queen rooms, family suites, in-room spas and some handicap accessible rooms. 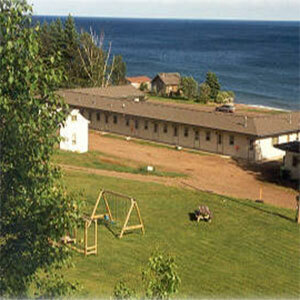 Your premier waterfront destination for enjoying the scenic beauty and serenity of Lake Superior. This luxury townhome is located on the harbor within easy walking distance of everything to see and do in Grand Marais, including the lighthouse and scenic Artist Points’. This beautifully designed and appointed lakeside vacation home is smoke-free and has 2 gas fireplaces, a private deck, floor-to-vaulted ceilings, lakeview windows with a panoramic vista of the harbor, marina, Artist Points’ and all the changing moods of this majestic lake. Unique to Cobblestone Cove Unit 1 is a stellar view of the lighthouse. 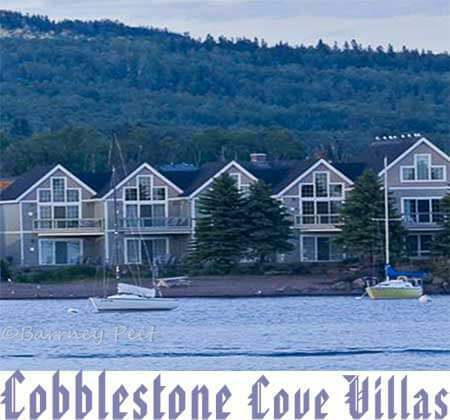 Luxurious condominiums located on the cliffs of Terrace Point Bay, just four miles west of the quaint, harbor village of Grand Marais, Minnesota. 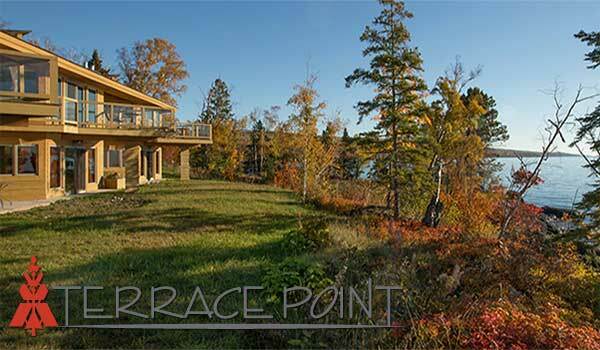 On the northern shore of Lake Superior, Terrace Point Condominiums are at the doorstep of the vast Superior National Forest and Boundary Waters Canoe Area. Terrace Point is the perfect destination for couples or anyone wanting quiet, luxury seclusion. Choose from either a King Suite with jacuzzi bath tub and deck, or Queen Suite with sauna and sunny patio for relaxing next to the lake. Neat & clean reasonably priced accommodations. Lake Superior views, wood fireplaces, campfire pit and free firewood. Friendly, quiet rustic wooded setting on bike path / within easy walking [1/2-mile] to downtown. Free WiFi access. All units are smoke-free and pet-free. Where guests become friends. Classic North Shore resort offers eight cabins, each with its own character and eight motel units with microwaves and fridges. The resort is set amidst a grove of birch trees on the paved bike path leading into Grand Marais. Lake trail leads to Lake Superior . Crystal’s Quilt Shop is in the big log house. Pets are welcome but need to remain off the beds and furniture. Pets may not be left unattended. Pet Rates :: under 50 pounds $10, over 50 pounds $20. 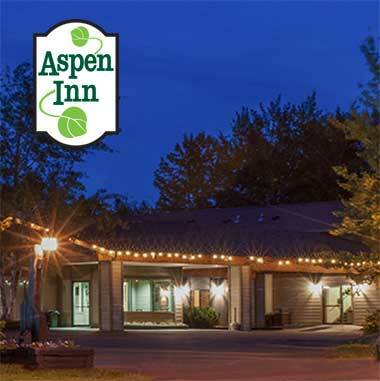 Aspen Inn is nestled at the edge of the forest, conveniently on Hwy 61 as you come into town from Duluth or the Twin Cities. Tucked in behind northwoods landscaping, it fits right in with a peaceful, North Shore getaway, as many rooms overlook quiet aspen and spruce. A guest favorite, our spacious whirlpool-sauna centered in a sunlit room, is off a relaxing deck, surrounded by spruce, aspen and lilac for privacy. 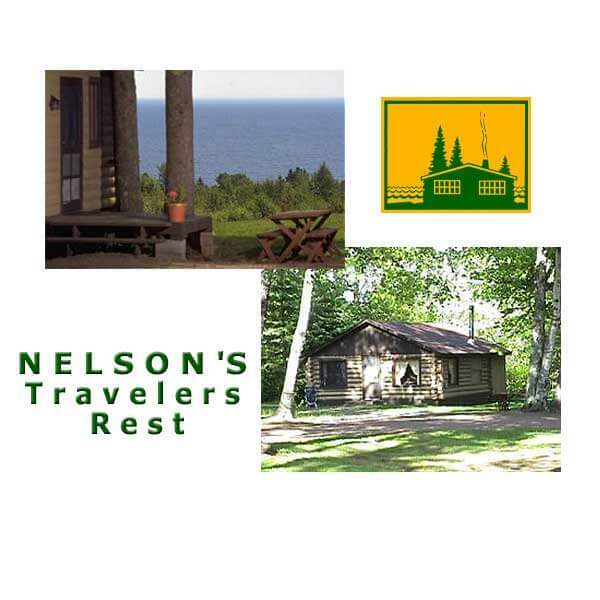 2 miles east of Grand Marais with cabins on Lake Superior and a few across the road; offering efficiency to two-bedroom cabins; clean, on or near the lake, modern with decks, grills and cobblestone beach. 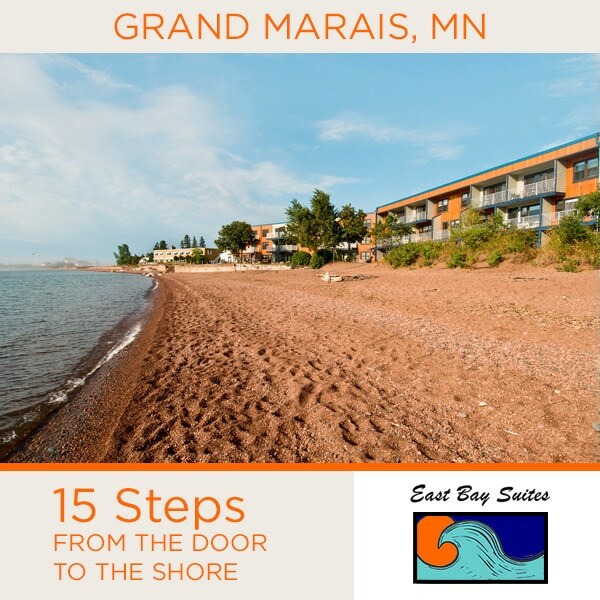 Part of the Grand Marais Hotel Co., our most economical lodging choice … check in at the Aspen Lodge and enjoy their swimming pool, whirlpool, sauna, sun deck, and continental breakfast. Free WIFI high-speed internet, refrigerators in every room. On the Gunflint Trail one block north of Hwy 61 in town; six cottages, a great log cabin and a few motel rooms near the harbor, and downtown. Cheery red cabins up the hill two miles west of town. Clean, simple, affordable. Some with lake views. Set on a wooded hilltop. Motel with six spacious rooms, eight charming housekeeping cottages (four with fireplaces), in a wooded setting near town. Built to be a B&B; offering 5 rooms with private baths; sitting area; common-are fireplace and jacuzzi. 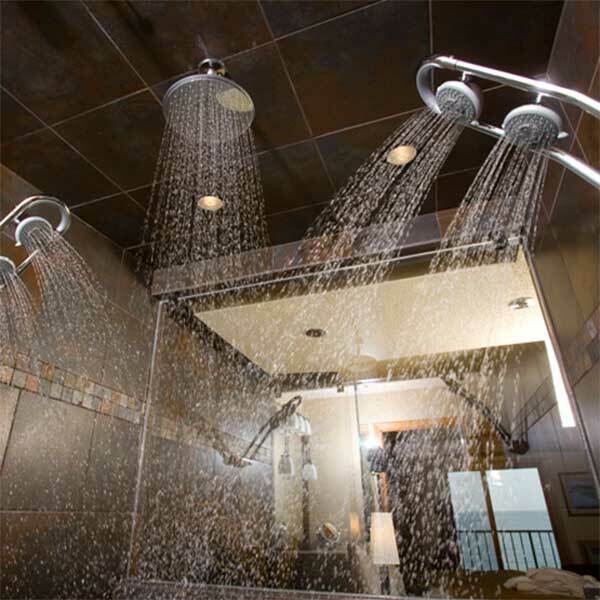 All of our suites and rooms are spacious and have their own private bathroom with shower or tub. Also offering 9 cabin and motel rentals; all located in residential Grand Marais near shopping and dining. Clean, housekeeping cabins with 2- or 3-bedrooms, small living rooms and kitchenettes, including microwaves, dishes, silverware, TV and linens. Open May 15 – September 30. A family run four room bed and breakfast that focuses on creating a comfortable home atmosphere for traveler.s Our rooms are beautiful, sunny spaces on the second floor of this turn of the century home. Two of the rooms have Lake Superior views and two of the rooms have views of the heavily wooded neighborhood. All of the rooms have a dedicated bathroom. In town; small family motel offering 9 rooms; convenient to shopping, dining and shoreline; reasonable rates. Relax to the sound of the waves. 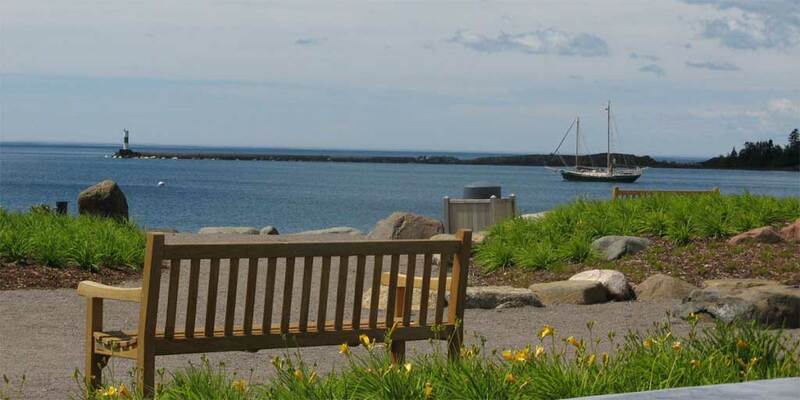 Stay in the heart of downtown with stunning harbor views and easy walks to shops, galleries, and the lighthouse. Our rooms are non-smoking, clean and comfortable. Each room has comfortable bedding, a pillow top mattress, flat screen cable TV, free Wi-fi, seating area for savoring a cup of coffee, and a view of Lake Superior. Formerly the Gunflint Motel – now the Feather Nest Inn! On the Gunflint Trail a few blocks north of Hwy 61 in town; a small family-run motel offering hospitality in modern, comfortable rooms with wood interiors and cathedral ceilings. Three newly renovated cottages nestled on 540 feet of rocky Lake Superior shoreline. They all feature the same cozy floor plans with plush beds and romantic gas stoves. Come relax by a fire, hike along the beach. Enjoy the ever changing sights and sounds of the lake. 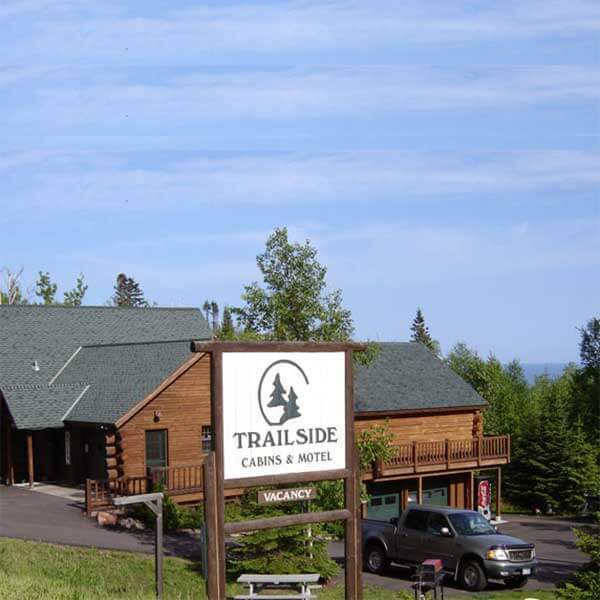 We are a family-owned and operated Northwoods lodge on Devil Track Lake, eight miles from downtown Grand Marais. Offering a variety of private guest rooms and cabins, available through Devil Track Vacation Rentals at Skyport Lodge. These distinctive cabins are privately owned and individually decorated. Nestled inside this resort community, each one has access to Skyport Lodge and its amenities. 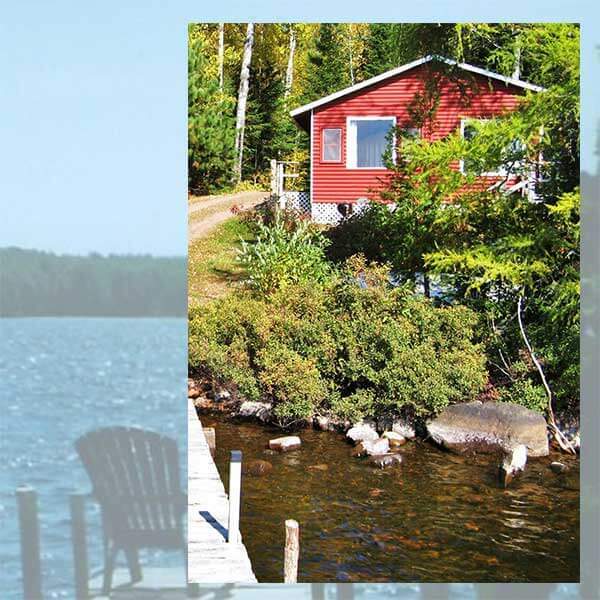 Offering lake vacation rentals to fit any budget and lodging need. Housekeeping cabins with a full view of Lake Superior. Completely furnished and have kitchens, showers and microwaves. Open May 30 – October 10. Located in the heart of downtown Grand Marais, with incomparable views from the private rooms and rooftops decks. The six individual units are uniquely designed and built to be modular. Add to that, common spaces that can be shared with larger groups, or experienced alone. Our Lobby has a beautiful fireplace, and the “Dragon Lounge” faces an outdoor fireplace with pizza oven.